The music's origins are unclear. The name "Antioch" is generally used for the tune. It is often attributed to George Frideric Handel (1685–1759) on the grounds of a 'chance resemblance' to choruses in the oratorio Messiah (premiered 1742), not least because a theme of the refrain (And heaven and nature sing...) appears similar to the orchestral opening and accompaniment of the recitative Comfort ye. Likewise, the first four notes seem to match the beginning of the choruses Lift up your heads and Glory to God from the same oratorio. However, there is no autographed score by Handel and no currently known documentary evidence to suggest that Handel wrote it, so 'Antioch' remains, at best, a skillful collection of borrowings from Handel. Displaying 1-43 of 43 items. As part of the tradition established by the fine CASA songbooks, these nineteen familiar carols are arranged for the beginning group. Easy to use and read (though without the performance notes or instructions for transcription of the other CASA volumes), this songbook will have everyone singing with relative ease. This excellent Christmas carol collection supplements Hawley Ades' best-selling general collection, the Fred Waring Songbook. Hawley Ades, long regarded as one of America's most skillful arrangers of music for singing, has been associated with the Fred Waring organization since 1937. This long and fruitful relationship is reflected in the imaginative treatment of the music in this book and in the many other published settings by Mr. Ades. Over 30 a cappella carols for either SATB, SSA and TTBB. 30 Old and New Christmas Carols for church, home or community singing. This edition is for unison or four-part mixed voices. Holiday harmony in a snap! From Thanksgiving through New Year's, this delightful collection of partner songs provides a host of harmonic fun for young singers. And what's more, everything you need is under one cover - piano/vocal accompaniments, choreography and reproducible singer pages. You are sure to enjoy the fresh originals by John and Alan partnered with these holiday favorites. This--the performers' edition of the massive New Oxford Book of Carols--is a selection of 120 carols in 173 different settings. The music, which is divided into composed carols and traditional carols, covers nine centuries of Christmas music from around the world. Popular and unknown material is included: the settings are straightforward and each carol is accompanied by a note on historical background. The emphasis is on the fresh approach to the carol, and the editors have cleared away the accretions of years to recapture the original spirit and vigor of the music. 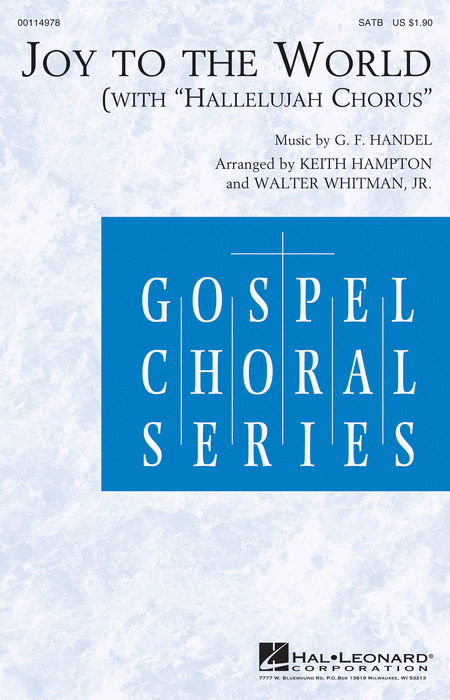 Selections from the book are featured on EMI Classic's recordings "The Carol Album," "The Christmas Album," and "Carol Album 2," performed by the Taverner Consort, Choir, and Players under the direction of Andrew Parrott. What a wonderful way to enjoy singing by the fire during the holidays! 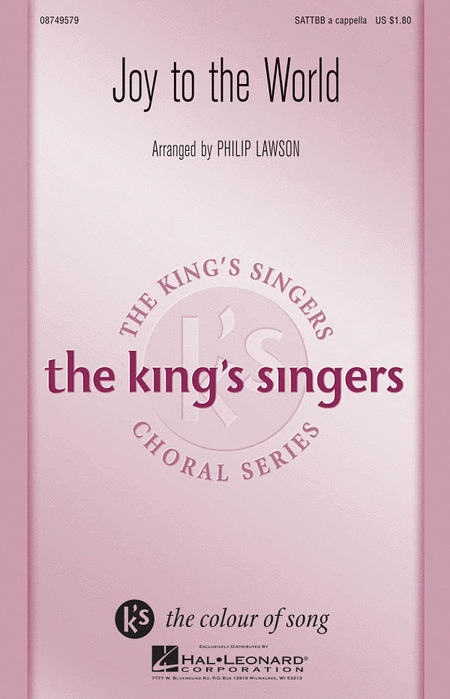 This book of arrangements is done just the way you'd expect the King's Singers to do it: with grace, class, and just a touch of humor. Favorite carols and heartfelt new songs are blended for a Christmas musical which is definitely a celebration! Cindy Berry has outdone herself with her first Christmas musical ever. From joyful to triumphant, Noel Celebration sparkles with Christmas worship and majesty. Narration and optional drama by Mark Cabaniss are included, offering a complete package for Christmas. Available: SATB, Instrumental Pak (Orchestra), Instrumental Pak (Chamber Orchestra), Preview Cassette, Preview Pak, Preview Cassette Pak, ChoirTrax CD. This book includes all arrangements from the second suite, with piano accompaniment, featured on CD with the same title, performed by the Atlanta Symphony Orchestra and Chorus, conducted by Robert Shaw. Here is one single product that will work beautifully for your choir year-round. This will become a staple in your library that you will pull out again and again featuring outstanding hymn arrangements and selections for Christmas, Easter, and patriotic services. The hymns and anthems contained herein represent some of the most loved examples of sacred song literature. Most of the hymns are arrranged for simple four part singing with or without accompaniment. Only in a few cases, notably 'Holy, Holy, Holy' and 'O Come All Ye Faithful,' have the numbers been arranged into anthem style for special occasions! Such numbers will be more effective with accompaniment, although special treatment is included so that they may be sung . 164 easy arrangements with chords of carols from around the world, complete with lyrics in the original language as well as English. This special collection also includes historical background information on the observance of Christmas through the years and notes about specific carols to give added understanding. Songs are included from England, Italy, Latin America, Spain, Scandinavia, Poland, Czech Republic, and more. Like the previously published folk song and spirituals books, Ready to Sing...Christmas includes 13 favorite songs arranged for voice and piano in a simple style appropriate for beginning and young soloist, unison classroom singing and elementary choral groups. Included are reproducible melody line song sheets for each selection which can be distributed to singers. Soloists may also use these melody lines when learning or performing the songs. Accompaniment CD included. Matching folio to her album featuring nine holiday favorites, including: All I Want for Christmas Is You - Christmas (Baby Baby Please Come Home) - Miss You Most at Christmas Time - O Holy Night - and more. Includes 16 lyric pages that are perforated so everyone can sing along, 19 songs in all! Songlist: Angels We Have Heard On High, Away In A Manger, Deck The Hall, The First Noel, God Rest Ye Merry, Gentlemen, Good King Wenceslas, Hark! The Herald Angels Sing, Here We Come A-Caroling, It Came Upon The Midnight Clear, Jingle Bells, Joy To The World, O Christmas Tree, O Come, All Ye Faithful (Adeste Fideles), O Holy Night, O Little Town Of Bethlehem, Silent Night, We Three Kings Of Orient Are, We Wish You A Merry Christmas, What Child Is This? Whether you're a karoake singer or preparing for an audition, the Pro Vocal series is for you. The book contains the lyrics, melody, and chord symbols for eight favorite songs. The CD contains demos for listening and separate backing tracks so you can sing along. The CD is playable on any CD, but it is also enhanced for PC and Mac computer users so you can adjust the recording to any pitch without changing the tempo! Perfect for home rehearsal, parties, auditions, corporate events, and gigs without a backup band. The piano/vocal/guitar arrangments in this collection correspond to Disney's CD release of the same name, featuring familiar Yuletide tunes. 25 songs kids love to play during the holidays! An elegant arrangement, made interesting and fresh with rhythmic variation, and a flute part that soars above the choir. Flute part available as a free download. Scored for SATB choir, trumpet and congregation, this is the perfect arrangement for your Christmas Eve service or your holiday concert. With original music connecting the verses there is opportunity to feature the choir while letting the congregation or audience sing the familiar tune. The trumpet part is included with the octavo. The 1971 #1 hit from Three Dog Night is still hot! Available: SATB. Performance Time: Approx. 2:25. From the high-energy Great Joy collection comes an arrangement of the Christmas favorite Joy to the World, which will really raise the roof! This arrangement was nominated for a Grammy award and when you hear it, you'll understand why. Truly unforgettable and highly creative!Available separately: SATB, Instrumental Pak (score and parts for Violin 1, 2; Viola; Cello; Horn 1, 2; Trumpet 1, 2, 3; Trombone 1, 2, 3; Alto Sax; Tenor Sax; Percussion 1, 2; Rhythm (including Hammond B3) and ChoirTrax CD.